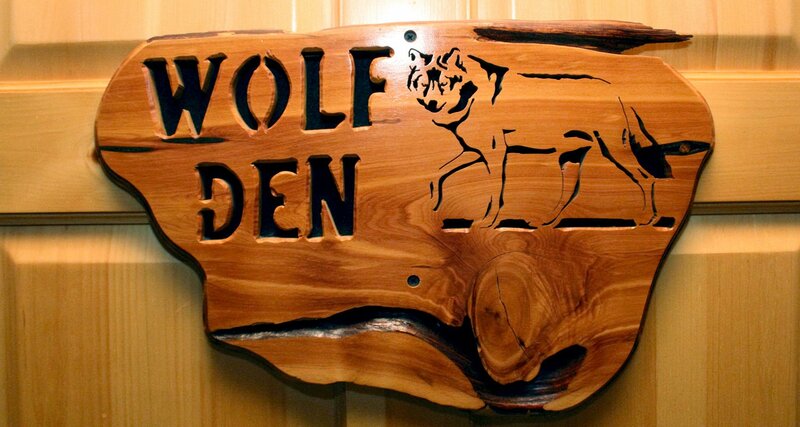 The Wolf Den has a king bed with a handicapped accessible private bath. 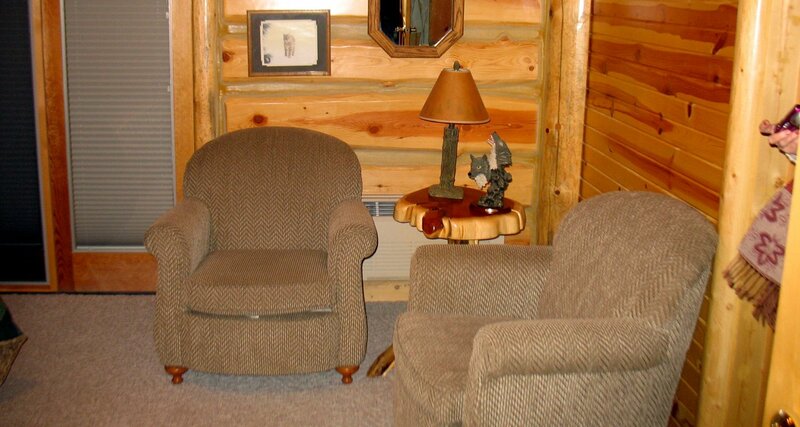 The rooms includes a sitting area and a door to the wrap around deck with a mountain view. 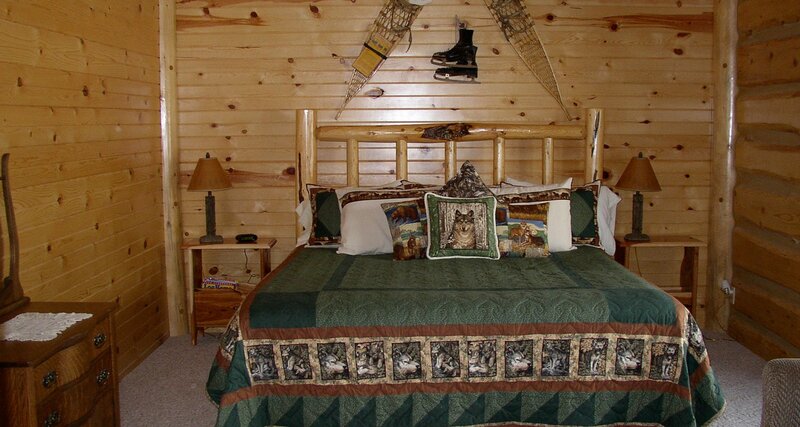 The rooms has an antique dresser and a handmade quilt and features a wolf theme.